Plastic resin expands as it’s heated and shrinks as it cools. This causes slight dimensional variations during the extrusion process as the melted plastic passes through the extrusion die and cools into a solid part. Without further processing, plastic extrusions will always deviate from the ideal dimensions specified in the engineering design. 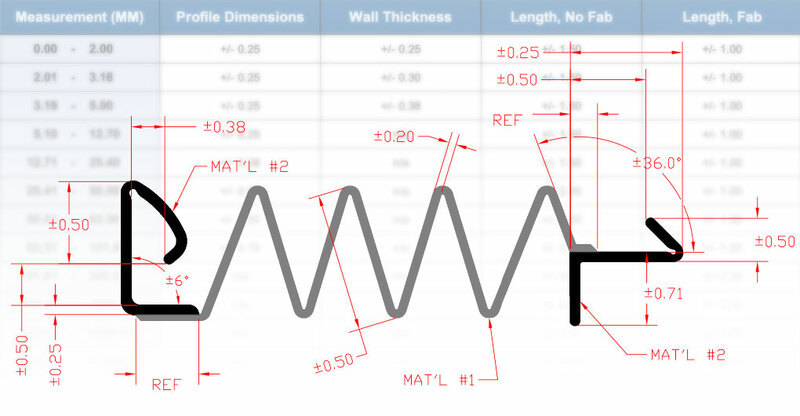 The key to a successful part is to determine the maximum range of dimensional variation, or tolerance, that’s acceptable for the proper fit, form, and function of your part. Every feature of an extruded part needs a specified tolerance to facilitate quality control. Fortunately, you don’t have to scrutinize every single dimension. For non-critical parts and features, performance requirements can be met under a standard range of tolerances.